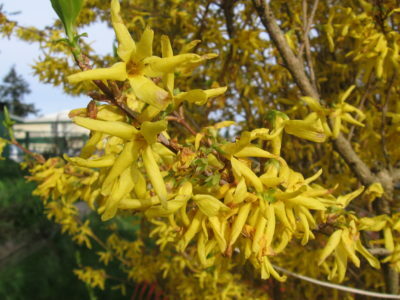 French broom is an upright, evergreen shrub that commonly grows to 10 ft. tall. 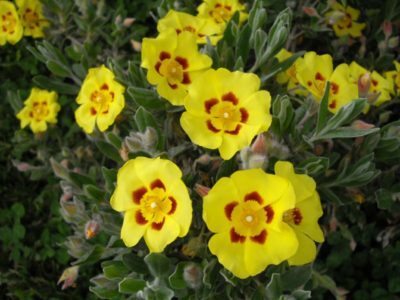 It has round stems that are covered with silvery, silky hair, and small leaves that are arranged in groups of three. 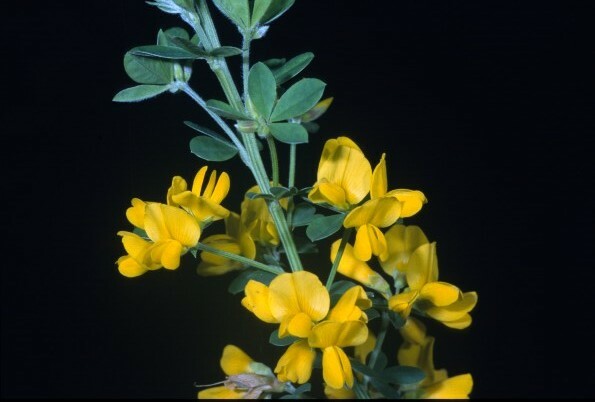 Yellow flower are pea-like and clustered in groups of 4-10. The 10 inch long pods are covered with hairs. 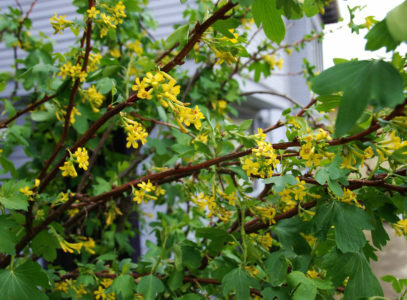 French broom is native to countries surrounding the Mediterranean and in the Azores, and was introduced to the San Francisco Bay area as an ornamental plant in the mid-1800s. How does French broom spread? French broom spreads through prodigious seed production. 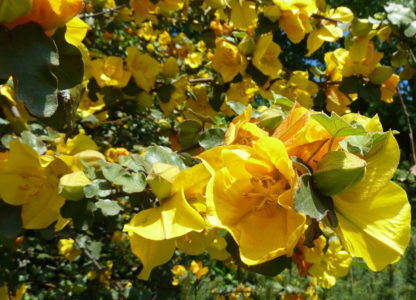 A medium sized shrub can produce over 8,000 seeds a year. The pods open explosively, flinging the seeds up to 4 meters. The seeds can then be further dispersed by ants, birds, and animals, and in river water and rain wash, mud, ad on machinery. It establishes ad dense, long-lived seedbank, making it difficult to eradicate. The seeds are known to survive for at least 5 years in soil. Where is French broom found? 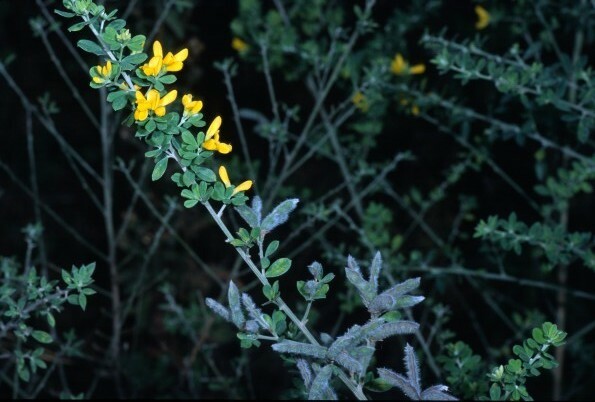 French broom is common on coastal plains, mountain slopes, and disturbed places such as river banks, road cuts, and forest clearcuts. It can colonize grassland and open canopy forest. 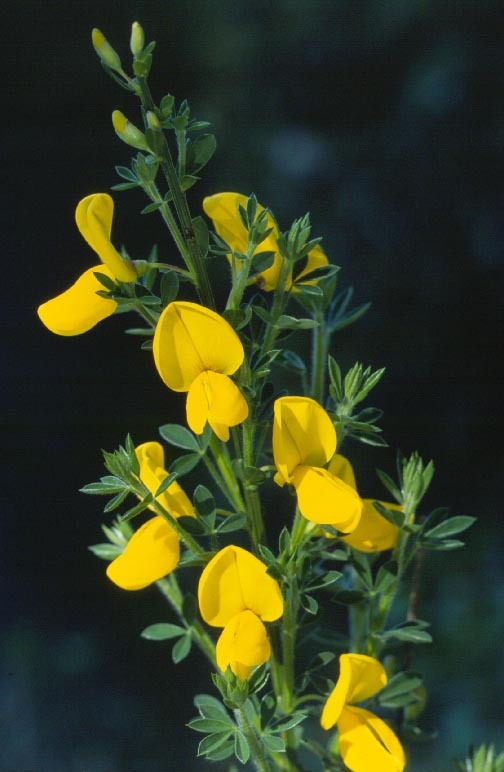 The seedlings are less tolerant of frost than Scotch broom and are therefore found less often at higher elevations. It can compete on low-fertility soils because of the nitrogen-fixing bacteria within its root nodules. 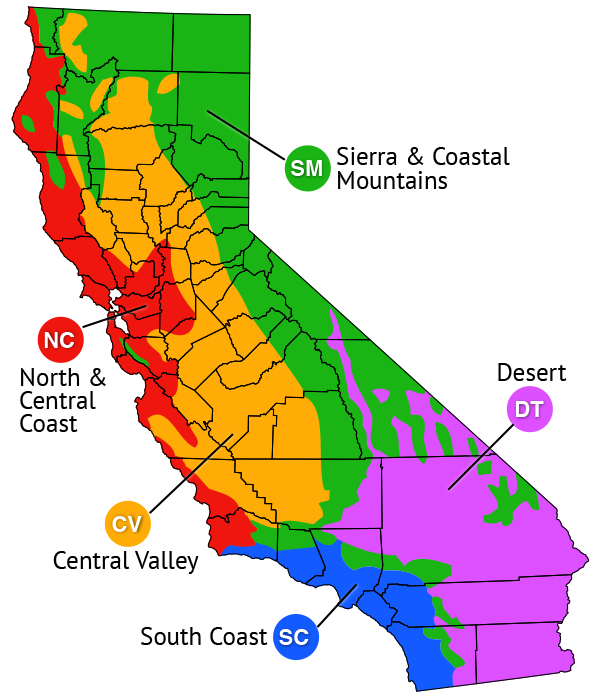 Found primarily in the central coast from Monterey County north to Mendocino County, and inland in Lake, Solano, and Contra Costa counties. It is also found in northern Sierra Nevada foothill counties to 800 meters, and in Kern, San Bernardino, and San Diego counties. What problems does French broom cause? French broom displaces native plant species and makes reforestation difficult because it shades out tree seedlings. 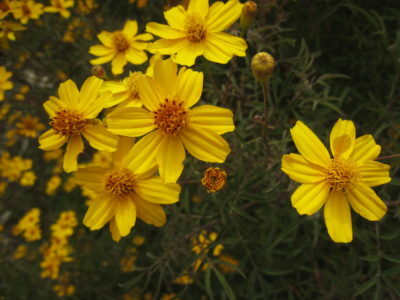 It can dominate a plant community, forming a dense monoculture. 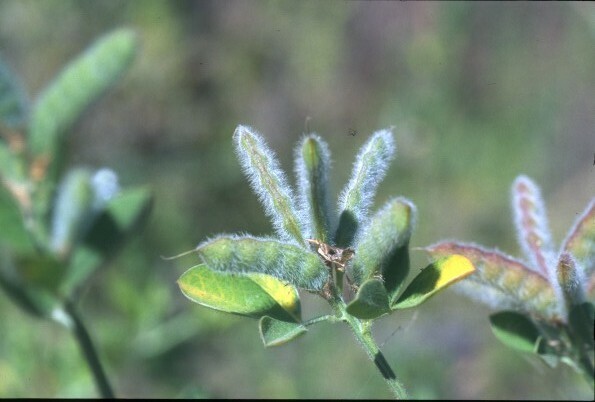 French broom foliage and seeds are toxic and can cause paralysis in some livestock. Broom infestations degrade wildlife habitat by displacing native forage species and changing the microclimate at the soil level. It also burns readily and carries fire to the tree canopy layer, increasing both the frequency and intensity of fires.